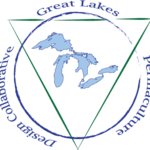 In 2016 I joined up with William Faith (Chicago) and Milton Dixon (Ann Arbor), to form the Great Lakes Permaculture Design Collaborative. Since that time, we’ve run a few very successful permaculture design courses, an advanced design course, various workshops, and supported our advanced design course students in developing a children’s garden and food forest in Hillside, IL. We’ve spent a lot of time weaving together permaculture people in the Chicago-area and pushing innovative approaches in our PDC. In support of our workshops (listed on the education page), we’ve begun doing occassional videos and offering more information at our website. If you spend time with us, you’ll see that our team is enriched by diversity of views, experiences, and approaches to permaculture. It’s a rich, inclusive, and inspiring collaboration which continues to show the healthy effects of emergent design. We hope you’ll join us! 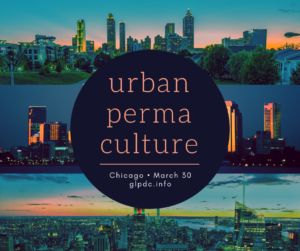 Our next workshop is on Urban Permaculture in Chicago on March 30, followed by a workshop on Social Permaculture April 27.